This is what we call "a teaser" in "the biz." THE SHOW (performing 6 times weekly, on top of regular day-jobby-stuff... hence, not a lot of posting here)! VISITS FROM THE MOB, FOB, MOG & FOG! AN INITIAL REGISTRATIONIN-ING FIELD TRIP! I've felt that way about everything lately. The production I'm in opened Tuesday night, and as I drove to the theater I thought, I'm not ready. But the show opened anyway. Tonight begins the holiday of Yom Kippur, a twenty-four hour of fasting and atonement, which usually I prepare for with some reflection and apologies and exercise, but I haven't been able to do so, and thus I feel like I'm not ready. But the holiday will come at sunset anyway. ...but I'll probably get married anyway. Let’s be honest: the only thing people love more than a bride… is hating on brides. “Bridezilla” is a term coined relatively recently (and universally loathed by everyone except truly, truly crazy people whose primary goal in life is to be featured in a TLC show), but there is a long, not-proud history of the terrible bride. I couldn't find any neatly compiled list of them, though. But I knew there were enough out there for a good round-up: From Biblical Bridezillas to Current Event Crazies, the tradition of some individuals losing their proverbial poo as they head toward marriage is pretty startling. And so, I decided to compile this list. May it serve as a reminder to us all that it’s just not ever okay for anyone to become a meanie or a maniac over this milestone. Also, that if you're starting to feel stressed... don't worry. You'll be okay. AS LONG AS YOU DON'T TAKE ANY OF THESE PEOPLE AS YOUR ROLE MODELS. 10. 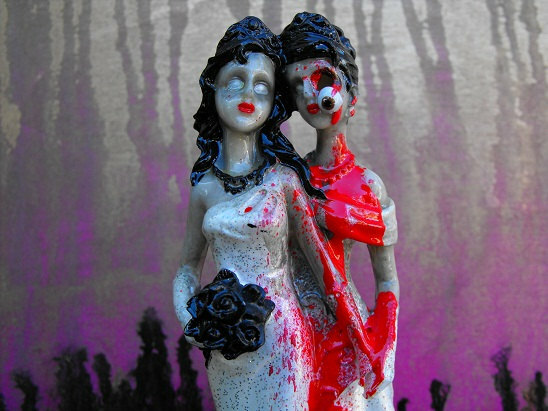 Batsheva (or Bathsheba, or Bathing Baiting Bride), The Biblical Bridezilla. "Is he looking? 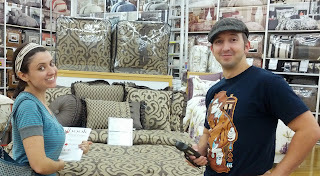 Hand me the loofah, let's make it interesting!" Even in the Bible, we see stories of meanie brides, like Batsheva. She was married to Uriah, but he went off to serve in the king's army, and bored Batsheva decided to put on a naked show for the king, bathing on her rooftop in plain view of the castle. King David was all, "I must have her!" So she was brought to him, and he got her pregnant. Oopsie-baby! The king pulled some strings and had Uriah sent to the front line, where he was killed. So then Batsheva was a bride again, this time to the king himself, who probably laid down some strict rules about where she was allowed to take all future baths. Let's not talk about Liz's husbands, either. That little brother/husband died, too, so she broke the "different kind of sister-wife" mold and married Mark Anthony of Rome, while also having a thing with Caesar. You kind of have to give her props for wielding so much power in that era. But as a bride, given her short temper and demanding demeanor, my guess is she was a tad bit high-maintenance. Also, totally a Black Widow Bride. 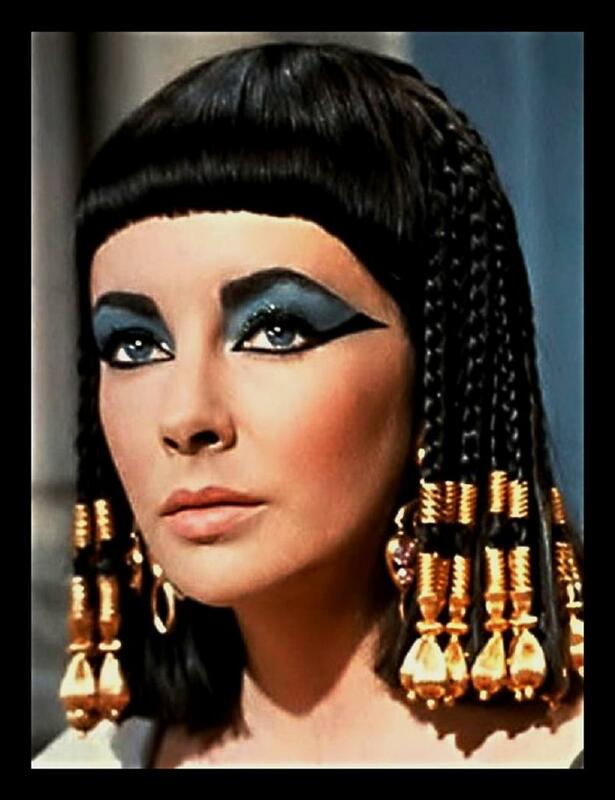 Husband #3 Mark Anthony died, too, at which point Cleopatra said "eff this," and let an asp bite her to death. 8. Elizabeth Bathory, A FREAKING VAMPIRE. I AM NOT FRIDA KAHLO, jerk. As bad brides go, Elizabeth Bathory, a famous vampire later known as the Blood Countess, is pretty hard to beat. Despite being highly educated for her time and of royal birth, no one really wanted to marry her because she was prone to seizures that were accompanied by fits of rage and total loss of control, possibly caused by inbreeding-related epilepsy. Hot! The stress of a wedding probably didn't help with the fits of crazy. She was betrothed by age 11 to a Duke, but then got knocked up by a peasant while awaiting her wedding day. She gave up the baby, married the Duke, and by all accounts settled down some, post-wedding, for awhile. She was an "excellent mother" and good wife to her husband, though she cheated on him when he wasn't around. And then after he died she started hiring and killing servant girls and bathing in their blood, hence "Blood Countess." So, yeah - technically makes her an even more terrible widow than she was a terrible bride, but I was willing to make the stretch because including a vampire in this list makes it sexier, right? 7. The Stinky Brides of the 1500s. Okay, so this isn't a singular "bad bride." 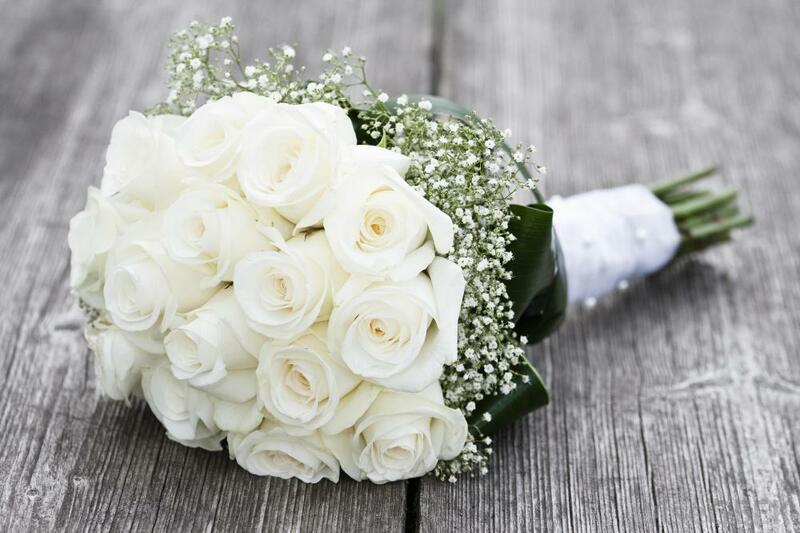 But in attempting to research bad brides in history, I came across this fun fact: Traditionally, people married in June because they took their yearly bath in May, and thus brides believed they still smelled pretty good come June. Just in case, they carried flowers to mask any ripe odor. Because ya gotta keep it classy, see? Ah, the glorious origin of wedding bouquets! Stinky brides of the 16th century, florists everywhere thank you for your contribution to the modern wedding! 6. 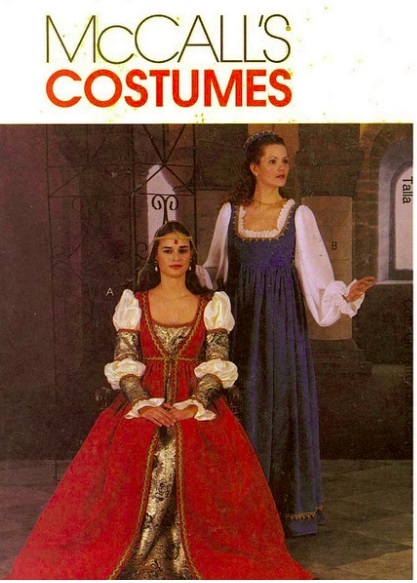 Also, While We're On Groups Instead of Individuals: Renaissance Brides. Mostly because they still inspire elaborate Renaissance Festival Weddings today. May not be their fault. But let's blame them. Oh, and no offense to folks who want to have an elaborate Renaissance Festival Wedding, and I hope it goes well. But we're emphasizing more egalitarianism today, right? Right? Ahem. I digress. Back to cataloging terrible brides throughout history. 5. Marie Antoinette: All Cake & No Consummation. "Let them eat wedding cake." 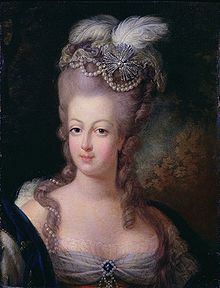 You kinda have to feel bad for Marie Antoinette: Bad rap post-wedding, and hefty family crap leading up to her wedding. (I.e. Siblings dying of smallpox, leaving her next in line to be married at age 12; bad teeth requiring 3 months of excruciating 18th century dental torture before she was deemed to have a straight enough smile to rule, and then at her wedding, her brother stood in as the groom since the cousin she was actually marrying couldn't be there - for real, y'all). But she was also famously shallow, high-maintenance and dismissive of the lower classes, and she didn't consummate on her wedding night, which led her and her cousin-husband to be a source of ridicule for years, because reality TV didn't exist yet. Actually, come to think of it, did historians maybe mix up Marie Antoinette's story with a more recent story of some backwoods meth cooking girl who may have appeared as an extra in Winter's Bone? Either way: not a nice bride. 4. One More Creepy Macabre Bride: Serial Killer Belle Gunness. "So tired of posing for wedding pictures. Can't I kill the groom already?" 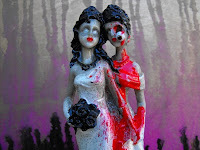 - Belle G.
Why does this serial killer make the Bad Bride list? Because in addition to being generally bad (um, Belle Gunness was a horrific serial killer, folks), she mostly selected her victims through dating and marriage. 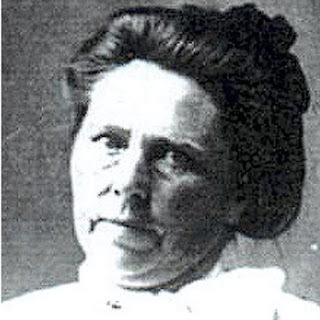 The six-foot-tall Norwegian immigrant was thought to be responsible for more than 40 murders, primarily of her husbands, boyfriends, and suitors. And also her own children. Making her a bad bride, bad girlfriend, bad wife, bad mother, and worst blind date ever. She cashed in on tons of insurance policies and was never apprehended. Belle G. was born in 1859, so she's probably dead now, but if you get set up on a blind date with a towering, filthy-rich old Norwegian lady, RUN. 3. 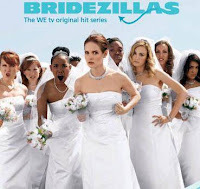 Anyone Who Has Ever Appeared On The Show Bridezillas. 2. Laura, The Gift-Basket Get-A-GRIP-Bride. I believe that marriage should not be reserved for straight people alone. 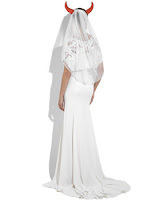 We also all know that tacky is not reserved for straight people alone, as this next Terrible Bride will illustrate. This story went viral last year: two brides tied the knot, and one guest and his girlfriend strayed from the registry list/just-give-cash option, and sent a large gift basket… which kicked off a large and ultimately public fight. This is because one of the brides, a lass called Laura, LOST HER DAMN MIND about it (and her new wife seemed to agree with her - or at least, didn't say "Hey, babe? You've crossed into crazy town, DO NOT SEND THAT EMAIL!"). twice the tacky. C'mon, ladies! I was just speechless when I saw this story. I was appalled at the assumptions, the attitude, the flat-out-condescending crassness of it all. 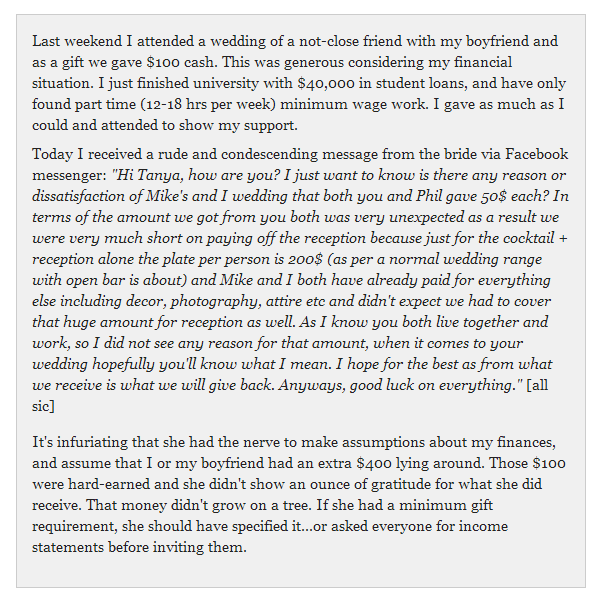 I was forced to wonder if shockingly poor grammar and shockingly-rude-bridal-syndrome must always go hand in hand. But mostly? I just feel really, really bad for Mike. Unless he’s a Terrible Groom, of course, and both of these charmers got what they deserve in one another. Seriously: ugh. So there you have it. Ten terrible brides who serve as an example for any of us planning a wedding: if you're anything like any of them, YOU'RE DOING IT WRONG. And, if rather than going off the deep end and being mean to guests or your future husband/wife/partner, you're focusing on the joy and commitment and community of this whole fiasco, you're probably doing it right, so cut yourself some slack. In closing, I suggest we all follow these three simple rules: Be reasonable, be kind, and don’t kill anyone.